When you’re fighting harsh, below freezing temperatures day in and day out during the winter season, you may feel like your body is continually chilled to the bone. To help fight off the effects of the frigid weather on your body and your soul, Elements Massage suggests implementing hot stones into your regular massage therapy sessions. Therapeutic massage is a medically proven method for supporting your health and wellness. And, the use of hot stones either intermittently or throughout your session can help to enhance your therapeutic experience. As with most massage therapy sessions, you'll enjoy benefits such as relief from back and neck pain, reduced stress, improved range of motion and much more. But, by applying heated stones to specific pressure points along your body, you also can experience easing muscle tension without deep pressure during a hot stone massage. When you receive a hot stone massage, you are using the benefits of heat to deeply relax your muscles. You also will experience an increased internal body temperature, which magnifies the importance of staying hydrated. Drink plenty of water before, during and after your hot stone massage session, as well as be aware of the hydration level of your skin. If you experience overly dry skin in the winter due to cold and harsh weather conditions, make sure to hydrate your body’s skin appropriately with lotions and moisturizers before your hot stone massage session. While you can experience many benefits from a hot stone massage, it’s important to be cautious about using stones that aren’t heated properly or are too hot. To minimize the risk of skin burns, it’s important to only receive hot stone massages from a skilled and experienced therapist who has been trained in using hot stones. It also is important for you to communicate with your therapist during the session about whether the stones are at a comfortable temperature for you. 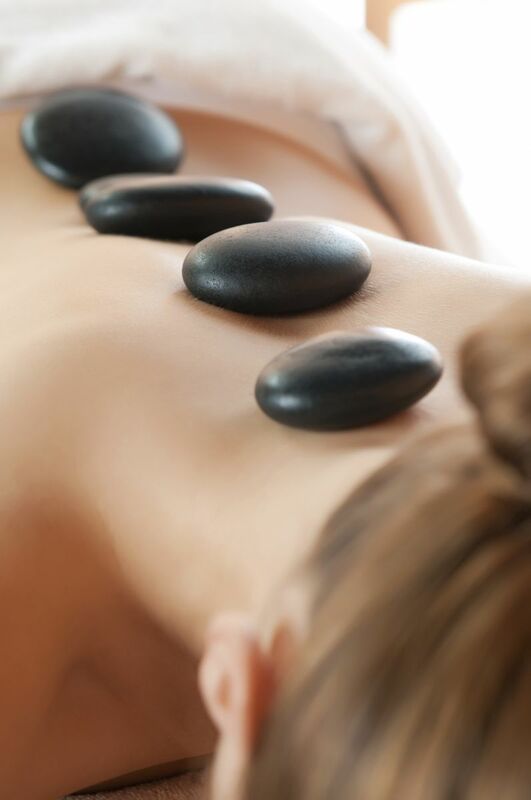 The hot stones should warm your skin while relaxing your tight muscles – not be hurtful or painful. At Elements Massage, our therapists take a customized approach to every client to provide the best treatment for your unique health and wellness situation. We customize each massage session to your specific needs and often incorporate techniques from several types of massage – Swedish, deep tissue, trigger point, hot stone – to ensure that you receive the best and most appropriate treatment. Visit www.elementsmassage.com to find the studio nearest you and to enjoy the experience of a hot stone massage that warms your mind, body and soul.